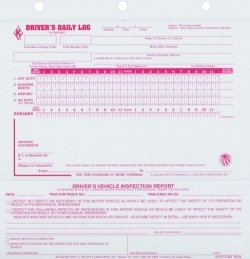 2 in 1 Driver's Daily Log 615-FS-B2 is a Carbonless 2-Ply Loose-leaf Format log sheet that has a Simplified Driver's Vehicle Inspection Report (DVIR) printed on the front. 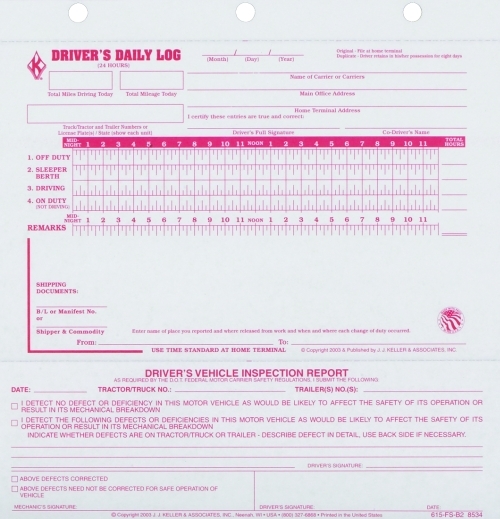 This handy log sheet is 3-hole punched and perforated for easy removal. This log can also be used for compliance with DOT's Hours of Service Rule. The log has no recap.